It’s that time of the year! The time when the two largest mobile platforms reveal the biggest and most important updates they have been working on all year. 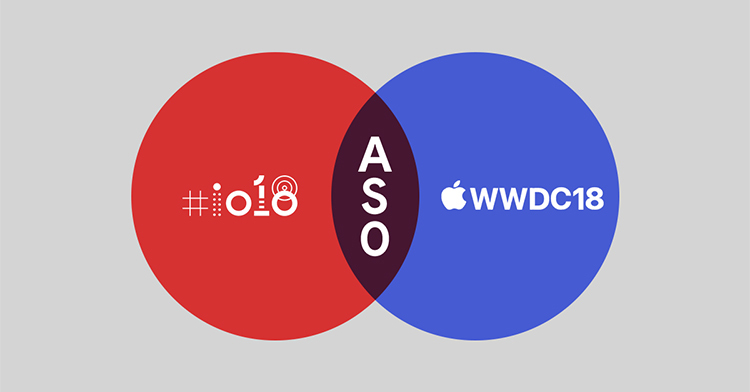 At yellowHEAD, we rounded up the most important announcements made at this year’s Google I/O and Apple’s WWDC for ASO. The major updates introduced at the I/O were device- and app-oriented, with major buzz around the advancement of AI and machine learning. Some of the major highlights include Google Assistant’s ability to handle calls in a life-like manner, and Gmail now helping us complete our emails based on accumulated personal data, of which there is naturally a lot of on Google. One of the biggest game changers in terms of ASO is the Play Console’s new look and features, with the spotlight on the new UA Report. We reported several weeks ago that the Keyword Insight tool has become unavailable to all developers, including those who had early access to the beta testing. As a result, we predicted this tool will likely become available to all developers very soon. Well – now it’s official, according to the Android Developers Blog. Google will now share the source of the organic install (search or browse), in addition to the keywords that drive the most traffic to the app organically. This is an immense help in evaluating keyword targeting strategies using hard data, allowing us to modify future targeting accordingly. Another vital announcement was Google’s continuous efforts to make sure the apps available on the Play Store will provide the user with the best possible experience. The original announcement was made last summer, in which Google reported it is enhancing its search and discovery algorithm. In other words, the better the app performs, the more likely it is to rank in a higher position on the Play Store. The latest I/O only strengthens the original message by recommending that developers focus on fixing bugs before wide release, using all kinds of assistive tools on the Play Console. Although this is nothing new, from an ASO standpoint it means that Google will continue to prioritize apps that are performing well, making ‘good behavior’ one of the most important elements that affect organic installs and, as a result, ASO. The biggest change made to the Play Store according to the latest I/O is Instant Apps, which have now been fully released. Developers now have the option to build an instant app for the Play Store so that users can try the app before downloading it. Developers will be able to track Instant App performance via the Play Console, as well as users’ behavior, including how many users went on to fully install the app. Google is also testing compatibility with AdWords for Instant Apps, which will allow users to test the app directly from ads. This will probably have less of an effect on apps’ discoverability and number of page views (at least until Instant Apps start appearing in ads), but we imagine it will increase users’ engagement and ultimately help increase CVR. 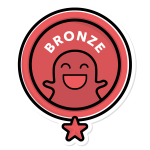 This is another reason there is a strong emphasis on the app’s quality. Ultimately, if the app doesn’t provide a positive experience in the trial, the user is not likely to download the app. Moreover, we imagine Instant Apps will assist in increasing retention and drive more quality users, since they are less likely to uninstall the app if they know what they are getting. From an ASO perspective, our goal will be to drive users to try the app, which we hope will ultimately convert to an install. Our method of doing so will be to continue focusing on A/B testing with the intention of convincing potential users to try the app. We’ve recently reported that the Play Store is beta testing a fresh look like the iOS App Page View. This new feature wasn’t brought up in the I/O, but we have noticed that the new page view is no longer being widely tested (several of the devices we use internally that temporarily had this page view available have reverted to the original page view). We believe that the new page view is likely to roll out soon and will be available on all Android devices. Last year’s WWDC saw the release of iOS 11, which completely transformed the look of the App Store. This year’s WWDC, which has just wrapped up, has yet to disappoint. With the reveal of the iOS 12 roll-out in September, there are many new elements for developers to take into consideration. Although this was not announced at the WWDC, it is a brand-new feature that has only become available as of last week. While it’s not the A/B testing tool we know from GPDC (and hoped for on iOS), the new creative testing feature is a welcomed addition for all iOS developers. The testing feature allows developers an opportunity to seize control of creatives without using third-party platforms (such as Store Maven or Split Metrics). ASAs are usually associated with ASO due to the nature of the algorithm, which primarily focuses on Search Ad keyword targeting in a similar fashion as organic keyword targeting. With the new testing ability, ASAs are now even more strongly linked to ASO. App Store Connect now allows us to upload up to 3 different app previews and 10 different screenshots. After uploading these assets, you can select from the ASA interface which app previews and screenshots are shown in each Ad Group. At this WWDC, there were no major App Store announcements; rather, the changes made were done quietly while the WWDC was taking place. iOS has revised their App Store review guidelines and continues to buckle down on developers that do not provide a positive enough experience for their users. Namely, the guidelines now require developers to update the “What’s New” section with every release. Although this is not news, the difference is that an app can now face rejection if this section is not properly updated. Additionally, iOS will reject cryptocurrency mining apps and “mirroring” apps that mimic the App Store on the device, because the source of the app/game (and the subsequent in-app purchases) is not from the App Store. Since the release of iOS 11, we witnessed iOS becoming stricter in enforcing its guidelines, so it is important to ensure that none are being violated. Another important section in the new guidelines is the paragraph referring to non-subscription apps. Apps may now offer a free time-based trial period before having the user make the full purchase. Up until now, subscription apps had the upper hand in enticing users to pay for the apps’ services by allowing the user to try the app and decide at the end of the trial period whether the app is worth purchasing a subscription. Now, non-subscription apps can offer a free trail as well. This means that these apps are now open to new potential users who may have not installed the app to begin with if it cost money. From an ASO perspective, this is likely to increase overall installs, but the retention may not necessarily benefit. That’s it for the recent ASO updates – stay tuned to yellowHEAD’s blog for future developments on these changes!